In May 1860, membership of the first council of the municipality of Woollahra was determined through a process of public nomination followed by a poll of the district’s electors. The Municipalities Act 1858, under which the municipal district had been incorporated, required that the matter of representation be finalised within three months of the proclamation of a district, and set the terms and conditions under which this was carried out. The number of elected members of each council was determined by the size of population of the district represented. Woollahra, with a population exceeding 1000 in 1860, was entitled to representation by nine elected members, while districts with a population of less than 1000 were limited to six. Elected members, who could be called aldermen or councillors, were to hold office for three years, one third retiring annually. The mayor, or chairman, was to be elected annually by and from the body of elected members. Woollahra Council adopted the terms “councillor” and “chairman” to describe the positions held by its members. Municipal franchise was limited by the 1858 Act to ratepayers, despite the New South Wales adoption in the same year of universal manhood suffrage for elections of the legislature – an extension of qualification to adult males regardless of their ownership of property. Though subject to various adjustments and changes, local government franchise would not completely discard property-based entitlement until 1941, its effects intensified by plurality voting (multiple voting entitlements according to property holdings). In other ways, the municipal franchise was more liberal in 1858 than the parliamentary franchise, in that women ratepayers were not specifically excluded from voting at municipal polls, although it is doubtful that any exercised their right to do so. It should also be noted that many of the ratepayers of Woollahra did not possess the freehold to their local property, given the preference of the Cooper estate’s administration for long-term leasehold arrangements. Nevertheless, these lessees paid the rates on property leased, and therefore were admitted to the electoral functions of the district. The Municipalities Act stipulated secret ballot for municipal elections, an electoral method still in its infancy in 1860, and somewhat controversial. 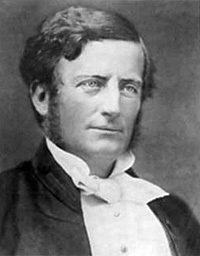 Henry Parker’s abandoned Municipal Rural Districts Bill, an aborted precursor of the 1858 Municipalities Act, had stipulated secret ballot in towns, but open voting in rural districts. The matter of secret ballot was debated at some length in 1857 during the passage of the Municipalities Bill. Representing one side of the argument, William Forster considered the colonists too “inexperienced” for secret ballot and the system too vulnerable to corruption, while on the other hand Dr Dickson believed secret ballot was the only way of ensuring the freedom and independence of individual electors. Ultimately, the House supported by 22 votes to 5 the use of secret ballot in municipal elections – and in the event, the Woollahra electors exercised a combination of both systems in 1860, the ballot box finally determining the result. The official who oversaw the electoral process for Woollahra in 1860 was returning officer Gerard Phillips. Phillips’s appointment to the position by Governor William Denison was signed on 18 April and announced in the Sydney press on 24 April, four days after the proclamation of the new municipality was published in a supplement to the NSW Government gazette. Gerard Phillips (pictured left), a resident of Sydney’s Hunters Hill, was linked through a number of associations with the newly incorporated area of Woollahra. 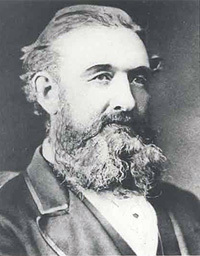 As a manager and agent for the Waterloo Company, Phillips’s fortunes were tied to those of the Cooper family, owners of the largest single landholding within the newly formed municipality. He was himself a prospective ratepayer, having almost four years earlier, on 27 October 1856, leased 3-acres of land on the western side of Edgecliff Road from the Cooper estate. A one-acre holding near Wellington Street is listed under Phillips’s name in the first Woollahra rate book compiled, presumably the residue of this land, with the remainder sublet to others. Phillips was also the honorary secretary of the South Head Roads Trust, which administered Old and New South Head Roads, the two main arterial routes for the new district. The district was presumably well known to Phillips before he assumed responsibility for the conduct of its first election, and he was probably no stranger to its electors. Among the many duties and responsibilities of the returning officer was the provision of a ‘hustings’, the temporary platform from which candidates and others addressed their public, and also from which the official nomination was conducted and the declaration of the poll announced. Phillips called for tenders for the erection of the platform in early May 1860, and the hustings was built in Ocean Street - then the hub of the district. From late April to late May, a series of announcements and advertisements was placed in the daily Sydney newspapers in Phillips’s name, informing of the electoral arrangements for Woollahra : a public meeting on 21 May 1860 for the purpose of nominating nine councilors and two auditors, and a poll, if required, to be held on 28 May. These official events were preceded by much lobbying, the surviving evidence of which is contained in newspaper advertisements on behalf of various electoral prospects, and newspaper reports of public meetings, convened by groups of electors with special interests. One such assembly was held on 9 May 1860 at Mr Llewellyn’s Victoria Inn in Piper Street (now Queen Street) in “Upper Paddington” (West Woollahra) and attended by an estimated fifty to sixty persons – a similar number as would attend the official nomination meeting on 21 May. Frederick Cane, who would later be elected as one of the first auditors of council, was voted to the chair on the evening of 9 May, and outlined the meeting’s objective as being to collect the names of suitable candidates for eventual submission at the time of the official nomination, “that the particular district in which the electors present resided should be fairly represented in the council”. Seventeen names were put forward to the meeting on 9 May for endorsement as prospective candidates for official nomination. The pattern of this unofficial nomination process proved reasonably consistent with what would happen in the official nomination and poll some weeks later, and is recorded in Table 1 (below) against the results of the official polls held three weeks later. All recommendations put forward were endorsed by the assembly with two exceptions: Mr E Hill, whose name, it was stated, was not recorded on the electoral roll, and Mr J Goold, “against whom there was a majority of hands held up”. John Goold (variously spelt as Gould in the records) was an architect, resident at what was then known as Waverley Road - the section of Old South Head Road between Centennial Square and Ocean Street. Despite the apparent disapproval of these electors, Goold was officially nominated on 21 May, and while unsuccessful at the ensuing poll on 28 May, was not the lowest polling candidate, the number of votes cast in his name being precisely as it was on 9 May. The meeting also elected a committee, to “carry out its objects”, as had been discussed. There were other meetings held, and advertisements placed anonymously by lobbyists to endorse select groups of likely candidates. Andrew Lenehan likewise signalled his reluctance, declining his candidature in the Sydney Morning Herald on 26 May 1860, four days after the official nominations of 21 May. His nomination nonetheless attracted 16 votes in the poll held on the 28 May. Both the Sydney press, through its classified ads, and the local publicans of Woollahra were considerable beneficiaries of the activity generated by this first Woollahra election. Quite apart from the public meetings held in hotels, individual candidates used these venues to interview their would-be constituents. Candidate J P Edwards, for example, after receiving official nomination, advertised that he would meet electors at Mr Edmond’s Bayswater Hotel in Double Bay. The call for official nominations was made at the Ocean Street hustings at noon on Monday 21 May with returning officer Phillips presiding. Phillips declared the object of the meeting, read the description of the official boundaries of the new district and the writ detailing his own appointment before calling for nominations, the result of which is recorded in Table 2 (below). Following the presentation of 22 names for nine available positions a poll, a show of hands was called for by the returning officer, in an apparent reversion to the process of open voting. The results of this polling was announced to be in favour of Messrs. Gorman, Thompson, Trickett, Bowden, Thornton, Oatley, Lenehan, Toogood, and Kingston as councillors, and Messrs Cane and Geddy as auditors. However, no declaration was made, the demand for a poll [secret ballot] having been made by William Lever. On Monday 28 May, votes were cast at a number of appointed polling places within the municipality : in Double Bay at Mr Edmond’s Bayswater Hotel in New South Head Road; in Upper Paddington (West Woollaha) at Mr Llewellyn’s Victoria Inn in Piper (Queen) Street, and in Watsons Bay and the South Head area at Mr Leftwich’s hotel on the South Head Road. In response to requests from voters, Phillips also arranged for an additional polling place in the city, taking a room for the purpose in the Criterion Chambers, on the corner of King and Castlereagh Streets. The polls opened at 9.00am and closed at 4.00pm. The following day, the returning officer, presiding officer and poll clerks met at the “central polling place” – presumably the Bayswater in Double Bay. Here the ballot boxes were opened, and scrutineers invited to view the counting process. The election process was completed with the declaration of the poll by returning officer Phillips at the hustings at 10.00am, 30 May 1860. Phillips reported the results of the voting and declared Messrs Oatley, Trickett (pictured left), Bowden, Gorman, Thornton (pictured below), Edwards, Thompson, Holdsworth and Hughes duly elected as councillors. Messrs Cane and Gedye were announced the elected auditors of the district. A vote of thanks was proposed by Councillor Bowden for the returning officer, in which Phillips management of the elections was acknowledged for his “impartial conduct and complete arrangements”. Phillips having replied, he called three cheers for the Queen and the meeting was closed. Less than three months after the first poll of Woollahra electors, an extraordinary vacancy was created on Woollahra Council with the resignation, on 21 August 1860, of Thomas Bowden. The vacancy was filled by Gerard Phillips (pictured left), elected in Woollahra’s first by-election in October 1860. Phillips tendered his own resignation as a councillor one year later, having by then sold his interest in the land he had held in the municipality. 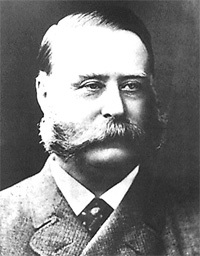 He went on to serve on the councils of several other municipal districts - Hunters Hill, St Leonard’s and North Sydney, and was mayor of North Sydney at the time of his death in 1892. George Thornton J V Gorman Mr Durham ! 63! Joseph Trickett W Davis Mr Perry ! 70! D B Hughes W Davis Mr Studd 41! F Oatley Mr Kilminster Mr Geddy ! 88! Mr R Holdsworth T Bowden W Thomas 42! J V Gorman Mr Geddy Mr Kilminster ! 67! T W Bowden W Thomas Mr Dunk ! 74! J P Edwards Mr Randall Mr Westland 47! S Thompson J V Gorman W Davis ! 44! Mr Geddy Mr Seabrook Mr Studd ! 48! F Cane Mr Kilminster J V Gorman ! 54! Note: symbol ! denotes “declared elected” in each system, the results of the open voting nullified by the demand for a poll.